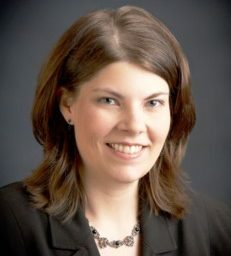 Tracy graduated from the University of Northern Iowa with a bachelor’s degree in communicative disorders and then went on to received her master’s degree in audiology. She received her Certificate of Clinical Competency in Audiology from the American Speech-Language-Hearing Association. She is also a member of the Iowa Hearing Association. Tracy takes pride in staying up to date on the latest technological advances in hearing instruments and assistive devices. Her main areas of interest include adult and pediatric diagnostic testing and hearing instrument solutions. Tracy’s favorite part of her work is being able to spend time with each patient to understand their daily life and how their hearing impairment is affecting them. She is then able to recommend the best hearing aid for their individual needs. Tracy is originally from Radcliffe, IA and currently lives in Le Mars with her husband and two daughters.